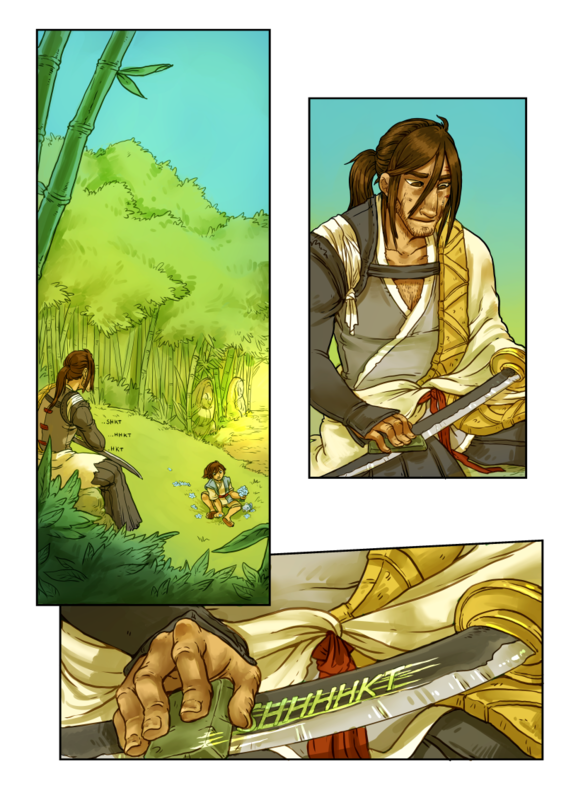 We open this chapter on Masahiro getting some of those nicks out of his trusty bandit-fighting blade. Gotta stay sharp in case another creepy snake-tongued demon-critter comes along! Aw, this is so nice.